Get out your eye patch and peg leg and get ready to delve into one of the most infamous and legendary aspects of Caribbean history. During the Golden Age of Piracy, from 1690 to 1720, pirates patrolled the waters of the Caribbean, terrorizing merchant ships and no place played a greater role in illegal pirate operations than Nassau, home base to the world's largest concentration of swashbuckling seafarers. 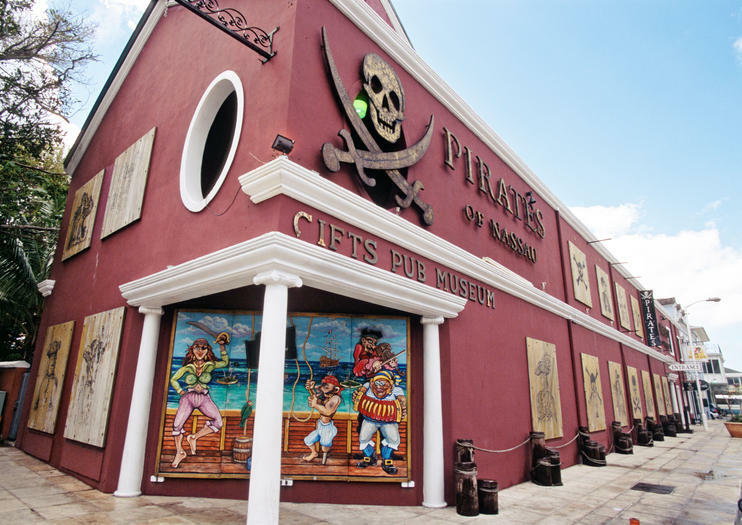 A trip to Pirates of Nassau takes one back to the Golden Age when pirates ruled the Caribbean. A favorite of both adults and children alike, this museum is one you won't want to miss. It is said that when a pirate slept, he did not dream of heaven, but of returning to Nassau. Come and find out for yourself what made Nassau pirate paradise.